Between wallowing in the extreme gorgeousness of Kaffe, messing with knitting stranded colorwork on a sleeve with double-pointed needles (oh the humanity! The ends! The giant entire sweater flopping in the way of everything! Serenity now!) and spending four hours watching Tess of the D’Urbervilles in an attempt to stay in touch with what my son is working on in school (if watching sumptuous BBC adaptations of classic literature is what it takes to be a good parent these days, well, I guess that’s the price I’ll have to pay) I decided to take up needlepoint. This is my (still-unblocked) version of Anna Maria Horner’s free pattern. It measures about 4” x 6”, and I did it all in a morning, which made me then start looking around the room for more things I could needlepoint. Being who I am, there were actually a couple things to choose from, and so I picked up this piece of canvas, sorted out some colors from my improbably large tapestry yarn stash, and just started. Within two episodes of Here’s the Thing with Alec Baldwin (Lena Dunham and Billy Joel) I had this much done. I love this so far, love it! I love it just the way it is; the graphic modern-ish squares pattern against the burlap-y-ness of the plain canvas. Oh man, I adore it. To think I’ve been hanging on to all this stuff in hopes of somehow coming up with a gorgeous fancy flower design, with blown roses and patterned pottery. As if I could do that. Sometimes you’ve just gotta know yourself, and then dive in. Nice!! But how do you do it?? Counting blocks and watching a movie?? The problem with Kaffe is that I couldn't actually wear any of his sweaters - I imagine they'd be incredibly heavy, no? They would make gorgeous wall hangings though! Or even a rug if you could stand to walk on something that would be so much work. the heart is gorgeous, I rushed straight over there to pin the pattern! Loving your geometric design too. I did some needlepoint last week and am itching to do some more! Now you're delving into one of my absolute favorite hobbies. :) Go, Kristen! How lovely! That heart is beautiful. I love this so much! Especially the contrast against the natural canvas - it looks so fresh and modern. All I can say is that every time I visit your blog I am more and more inspired. It's such a treat and after a really long day, it's like the cherry on top of an ice cream sundae. Thank you so much for sharing your lovely talents. You are one talented woman......it is a gift that you share yourself with us .... a sweet treat to visit each day !! ooh so pretty, and it looks very addicting. 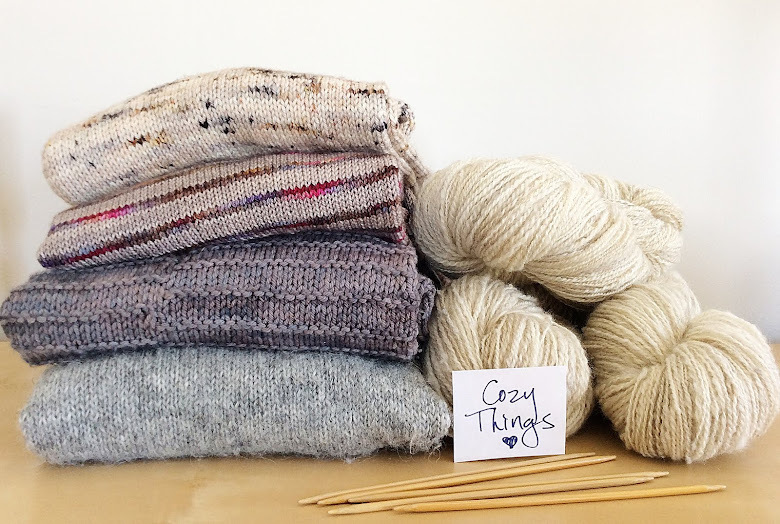 can't wait to see your colorwork sweater! Amazing how much you do. Although I am a bit the same always having to be working on something. Like you I too have so many projects going at one time. It's great through isn't it? I just decided to dabble in needle point. Oh, to be creative! Needlepoint is anything and everything (See link below). I think maybe you are thinking of cross stitch which is mostly cross stitches (with some partial stitches and outlining with back stitches). you try so many different crafts, and everything looks beautiful when you make it. looking forward to see what picture you create with those gorgeous colors! You have SO many talents!!! Whenever I visit you here, there's always somethign else I feel the need to add to my 'must try' list!!! I absolutely adore your triangles. The perfect mix of order and chaos. Amazing! hmm, I might need to learn how to do that! I saw the post at Anna Maria and immediately fell in love with it but since I have that many things to do, now didn't seem like the right time to pick up something new! I absolutely adore your version as well! My goodness, another beautiful project has sprung from your blog. Yes those are definitely your colors. This I really like!!!! Those colors are beautiful. I love the look of this project! I love it! How much progress have you made since February? Pictures please!! I'm so glad to meet a fellow addict! You go, girl! Since you've started discovering the potential of triangles, I urge you to make every effort to track down a book called Trianglepoint, written in the 70s by an American woman named Sherlee Lantz. There's a Wikipedia article too. She can make triangles dance! And if you string them together, they make brilliant hexagons and eye-popping prisms and designs of great subtlety. So quick, too - I've got a huge one hanging in my hall which looks insanely complicated but was easy and relaxing to do. One day I'll make it a friend!